We’ve added quite many Excel reports and fine-tuned some of the existing ones. Invoices Excel report includes paid/unpaid amounts, groups, etc. You can now download the full player list with everyone’s profile data as well as with pre-payment, debt and balance. This means that all related information about a player can be accessed from one Excel file. This is useful when registering for a tournament, organising training camps, getting a birds-eye-view of your club, etc. You can now download different invoicing reports to XLSX file format (only CSV was available until now). This makes it easier to handle the reports without needing any specific Excel skills. 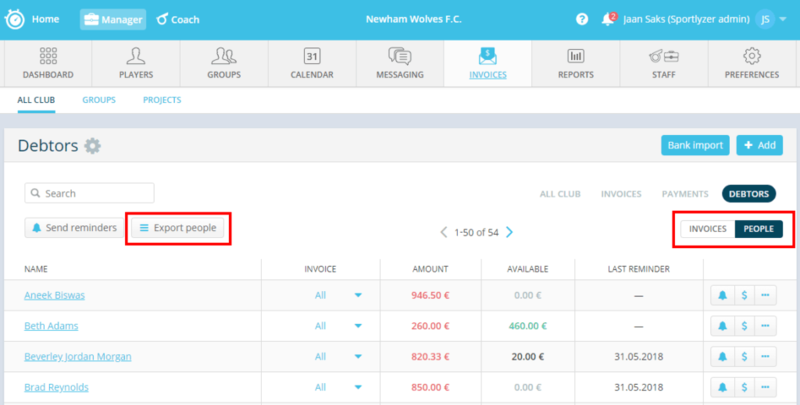 Some time ago we added the “People” view in the Debtors page. Now you can also download these people to Excel for a more thorough analysis. 4. Invoices Excel report includes paid/unpaid amounts, groups, etc. Hopefully, this will give you a better overview of your invoices and will give you an opportunity to easily understand how your groups or projects are performing. We added new columns to the attendance report in Excel to include specific data about training, event and competition attendance. This will give you a better overview of how each of these event types is performing. You can now download all of your archived players to Excel before deleting them fully from Sportlyzer. 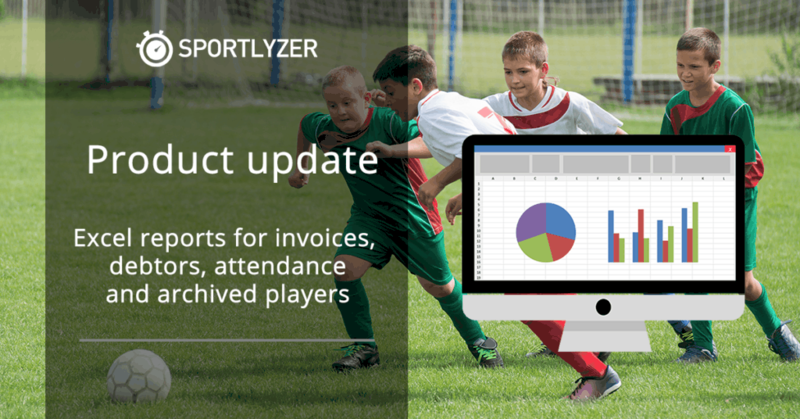 Sportlyzer is an award-winning team and training management software for youth and amateur sports. Log in or sign up now!